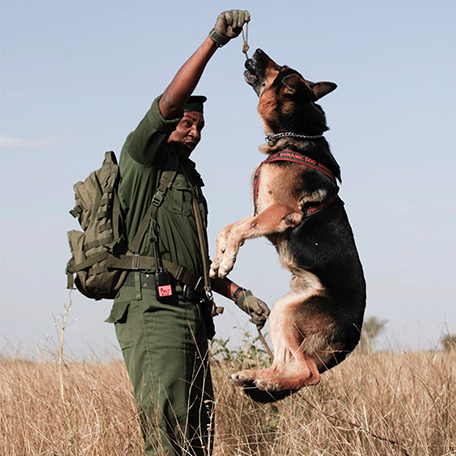 The anti-poaching teams consist of three dogs and two dog handlers. One team operates in the Serengeti National Park, the other in the Manyara-Tarangire ecosystem. Assigning dogs to track poachers has reduced poaching in these areas. Maintaining the dog teams is important to keeping poaching levels down.